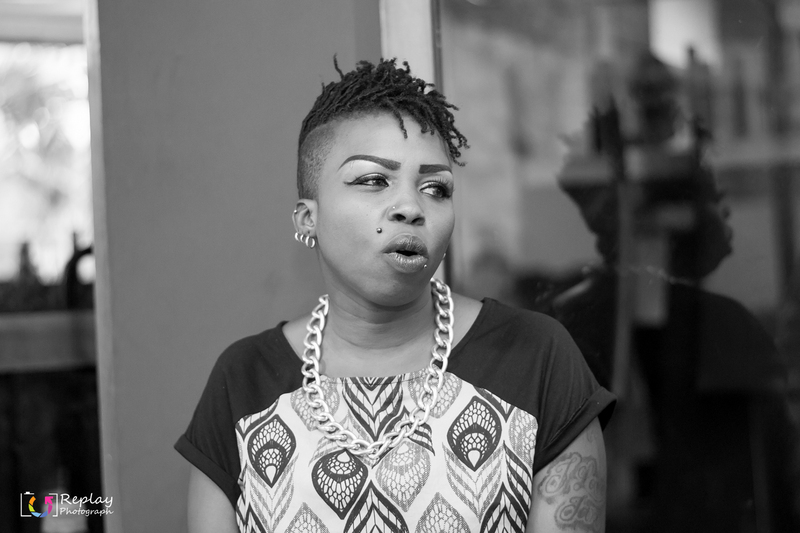 Ethel Blavo is one of few female disc jockeys rocking the radio waves in Ghana. Known as Mz Blavo by her listeners, the 32 year old did her internship at Amanie FM and made such a prominent impression she was asked to stay. Decked out in smiles as she meets me on Wednesday afternoon, this beauty is hardly a face for radio. Yet it didn’t take long for her to be offered her own show, and Raw Passion 360 was born. Just six weeks later, she clinched another spot on air. Her list of favourites span from international artists like Vybz Kartel and Busy Signal to local talent such as Stonebwoy and Episode. Conscious Empire is all about playing song requests and “more music and less talk”. The short-haired stunner doesn’t take these issues lightly, either. She has two counsellors, one who is a doctor, who join her on air to discuss the issue over the course of the program, which is punctuated by musical breaks, of course. Before she became Mz Blavo, Ethel was a tennis champ until her love of cooking guided her to start a catering company. She also attended school for performing arts and was featured on several local television series. It was Ethel’s early passion for music, however, that led to her interest in radio, and by 14 years old, she was doing jingles for some of the local stations, even winning a rap battle on Vibe FM. Then, after seeing the original Raw Passion on air in the studio, Ethel decided to take radio seriously. In 2005, she graduated from Abro Media, and her passion for entertainment has only grown. The “lady on fire” is blazing her own trail. Tune in every Friday and Saturday to catch Mz Blavo on Amanie FM. Catch ‘Conscious Empire’ Fridays from 4pm-6pm and ‘Raw Passion 360’ Saturdays from 10pm-midnight by tuning into Amanie 96.1FM, or online at http://www.amaniefmonline.com.